The anticipation for the upcoming Samsung Galaxy Note 2 has been growing steadily in the last few weeks, especially since the device was made official by the company. The smartphone is almost with us and for some lucky consumers in the UK the release is coming early, and means some will have their hands on the device from tomorrow. 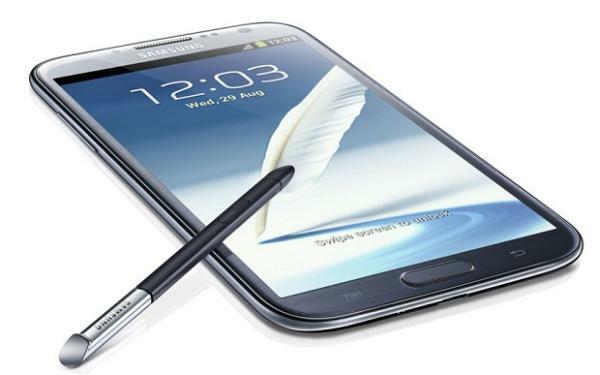 According to an article on TechRadar the Samsung Galaxy Note 2 will be released tomorrow, which is a day early than the rest of the UK will see it, but to get one you will need to travel to its flagship retail store in London. From tomorrow the company will be selling the Galaxy Note 2 via its store in the Westfield Stratford City shopping centre, and those that are near enough to travel to the retail outlet will be able to get their hands on the 5.5-inch smartphone, while the rest of the UK have to wait an extra day until October 1st. Samsung did the same thing back in May with the launch of the Galaxy S3, and the company are offering those that turn up at the store tomorrow a special sale price, but unfortunately this has yet to be revealed. The new handset will follow on and possibly increase the success its predecessor saw, and will come with Android 4.1 Jelly Bean from launch. Earlier this week the first contract prices came to light via high street retailer Phones4U, while SIM free prices begin at around Â£529 for the 16GB model. Meanwhile if you don’t have the time or money to travel to the Samsung store in London, the Android Authority is reporting that an online retailer has begun taking orders for the Galaxy Note 2 with immediate shipping. Unlocked-Mobiles have the handset listed at Â£545 for the 16GB white model, with shipping starting right away for the handset. The price is slightly dearer than other online retailers, and it does plan to stock the blue version but currently has no stock. This news comes as US consumers wait patiently for the Galaxy Note 2 to become available, which Samsung has stated will be on all the major carriers by the middle of November. Will you be getting the Galaxy Note 2 this week? May i know when lauching at Malaysia? Just called the store. This is the white version only. Titanium grey not in stock. They don’t know when. Lame, Apple don’t mess about like this. They havent even got a date for the official Note Accessories. So turn up to the Samsung store today to find the special pricing is Â£569 !!!!! When did Special promotional pricing means you pay MORE for turning up at the store early rather than waiting and buying at Â£529 (amazon). I can be patient and wait 2 weeks. Thanks Samsung for a wasted Journey. when will the 64gb be released?